Pop vinyls have become one of the most popular collectibles in recent years. These brilliantly detailed bobbleheads are Funko’s best selling product and rightfully so, with characters from Star Wars, Marvel and Disney to name but a few, there is a pop vinyl out there for everyone! I’d been wanting to grow my collection for a while, so I decided to sign up for a POPINABOX subscription. 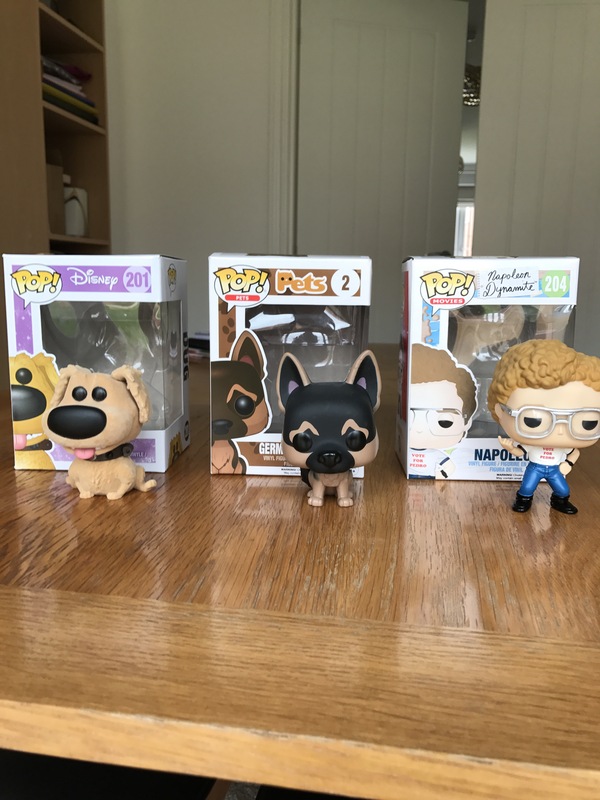 For those of you that don’t know, POPINABOX is basically a subscription service where you get sent mystery Pops to your door every month! I opted for the 3 pops per month subscription which worked out at £8.39 per pop, which isn’t bad considering one would usually sets you back around £9.99. I couldn’t have been anymore excited for receiving my first subscription if I had tried! 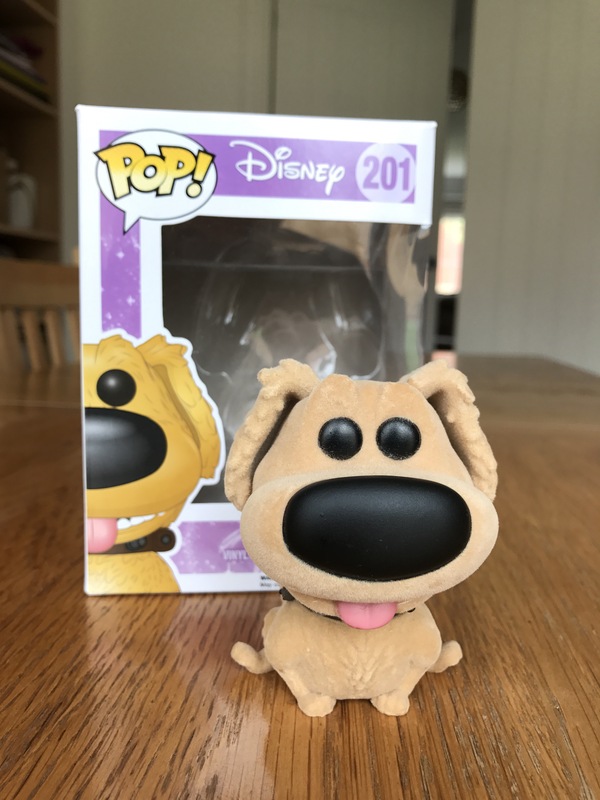 The first character I unboxed was the fantastically detailed Dug from the movie Up! The detailing is fantastic and he even has a slightly furry feel almost as if he has actual fur! 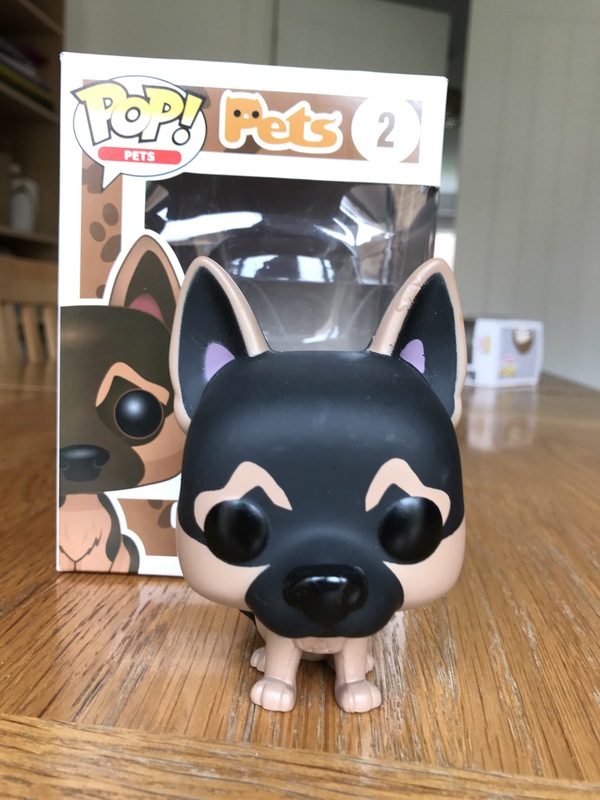 The second pop I unboxed was the German Shepherd pop from the ‘pets’ collection. I love German Shepherds and when I eventually get my house I intend to get a real life one as a pet, but I guess this will do for now! The detailing on this figure is great, maybe not as good as Dug, however a gorgeous pop nonetheless. 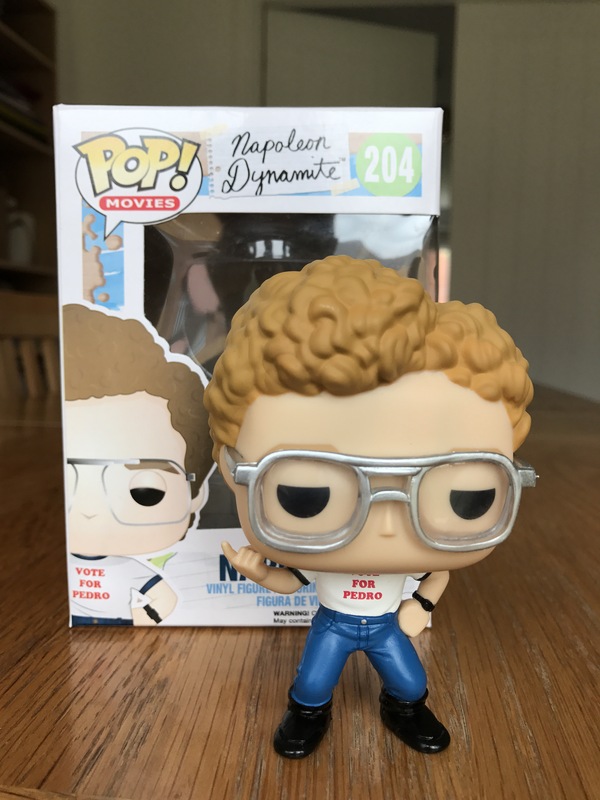 The third and final pop vinyl from April’s delivery was the funky looking Napoleon Dynamite, from the film Napoleon Dynamite (obviously). This pop looks just like the real character and even comes equipped with the classic ‘Vote for Pedro’ t-shirt. So overall not a bad first months subscription to the POPINABOX service and I’m looking forward to the next delivery already! If you want expand your own collection with POPINABOX, use code SUPERNOOD-R1 at the checkout for a discount! Guardians of the Galaxy 2 is the sequel to the 2014 hit and follows our favourite band of misfits on their adventures as they set out to protect the galaxy. The film gets off to a flying start with the action starting from the off – this fast paced action carries on throughout with action all over! Not only do we visit more of the planets the Guardians protect, we also get to see even more of the varying inhabitants in the MCU – hopefully some of these will be revisited in later films. The cast is just as impressive as ever and Chris Pratt continues to impress me with his performances. The onscreen chemistry is what really makes the gang so likeable, between Starlord and Rocket’s petty arguments and Drax’s no filter comments, this is quite possibly one of the funniest Marvel films to date. The film ties perfectly into the MCU and I cannot wait to see the Guardians in future, Guardians 3 looks to be on the cards and with the cast set to appear in Avengers: Infinity War, Marvel look like they are in for a huge couple of years. Go and watch, wait for the DVD or avoid altogether? – Guardians 2 is a fantastic example of what Marvel do best and I would advise you to go and watch it before it’s too late!